Come see first hand the "future of the marimba" at TMEA 2018. To really know what than means you really have to change your perspective about how marimbas should be built and designed. This new instrument is a complete "rethinking" about how an instrument should be constructed, what problems should have been solved by now, and how innovation can improve sound, playability, feel, height adjustment and ease of moving. 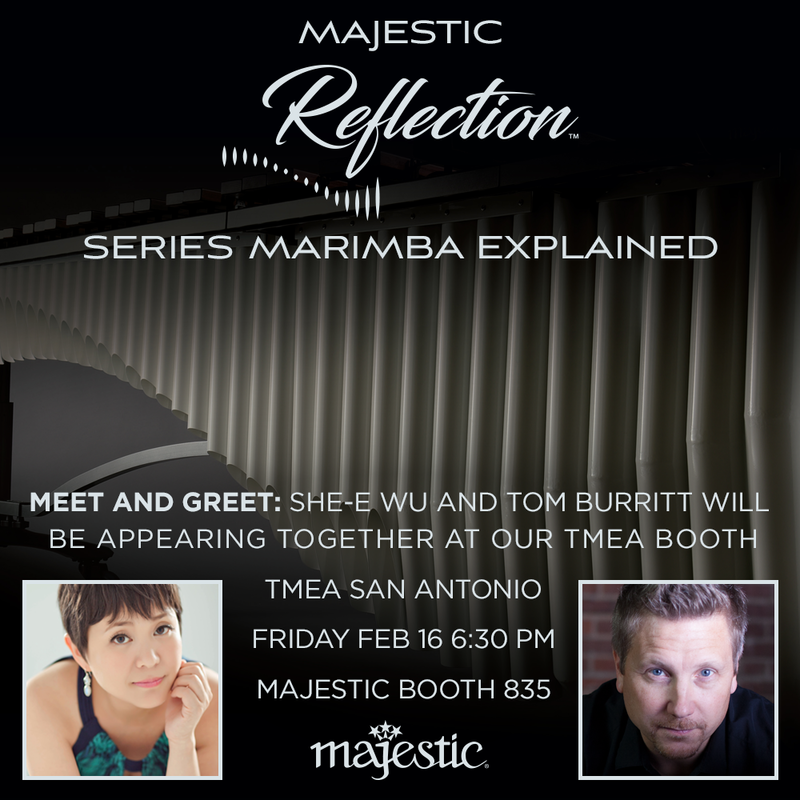 Burritt will be at the Reflection Marimba Majestic booth Friday, February 16th beginning at 6:30pm at TMEA 2018. Come by and say hi!